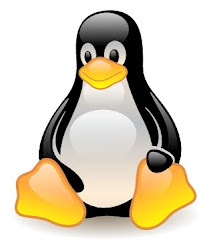 A feature of the Linux kernel called namespace isolation  defines groups of separated processes such that each process cannot "see" resources in the other groups. This is a form of lightweight process virtualization used in some container implementations such as LXC. In this post I'll show few examples of how to create network namespaces and use them with Open vSwitch. A network namespace is a separate copy of the network stack - it contains its own routes, network devices and iptables rules. It is defined in include/net/net_namespace.h where each device belongs to only one network namespace. In this case you can see 3 network interfaces - lo, eth0 and eth1. drwxr-xr-x  2 root root  80 Jul 20 14:54 .
drwxr-xr-x 19 root root 600 Jul 20 14:54 ..
We can use "ip netns exec ns1 command" where command is either the actual command we want to execute or bash, which puts us in the namespace's shell, where we can run commands as usual without the need of prefixing them with "ip netns exec ns1". As you can see the ns1 namespace only contains the loopback interface in a DOWN state. The same is true for the ns2 network namespace. Lets create a link between the namespaces ns1 and ns2 through the virtual switch by specifying the two ends of the connection, called a virtual pair. The commands above created two virtual links in the root namespace, each having two interface on each end - eth1-ns1/veth-ns1 and eth1-ns2/veth-ns2. Think of the eth1-ns1 and veth-ns1 interfaces as two opposite ends of the same pipe. The names are arbitrary. Notice how the eth1-ns1 and eth1-ns2 interfaces no longer show in the root name space, but in their newly assigned ns1 and ns2 namespaces. The end result is two network namespaces ns1 and ns2 each having eth1-ns1/2 interface connected to an OVS ports veth-ns1/2. Let's bring the interfaces up and assign IPs. Jul 20 16:26:28 localhost dhclient: bound to 192.168.0.195 -- renewal in 1499 seconds. Now connectivity between both ns1 and ns2 should be lost.